I found another FPGA Morse ﻿code keyer project! This one is written in VHDL by Jim Brady. He has posted the source (for a Xilinx Spartan 3A). He also posted his vintage keyer designs from the 1960’s and 1970’s. Jim’s design is not iambic, but does have dot and dash memory. Speed adjustment is done via an RS-232 serial link to a PC. 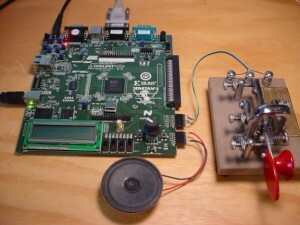 If VHDL is your hardware language of choice, or if just would like another take on Morse keying, Jim’s keyer is worth a look. Of course, if you’re interested in a small iambic keyer core in Verilog, have a look at the skywired.net iambic keyer. 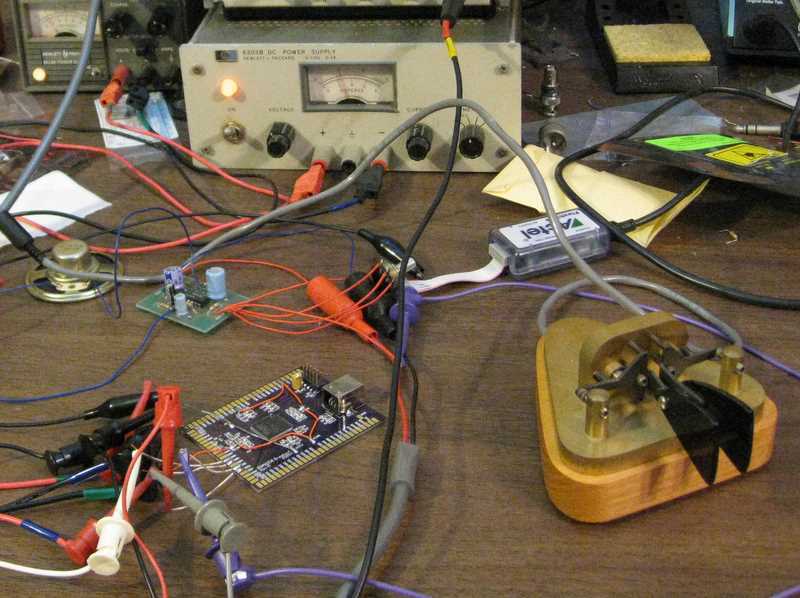 Update 8/8/11: Jim tipped me off to another VHDL keyer published online. 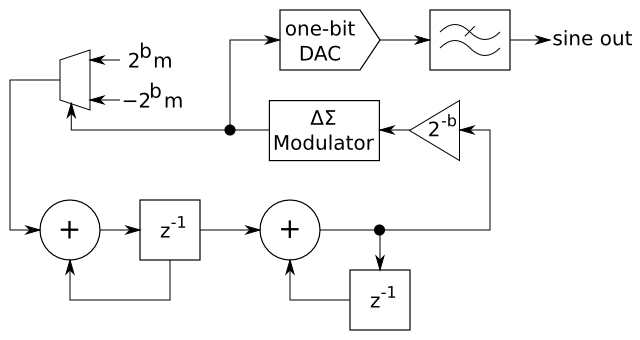 This one is designed for a Cypress CPLD and is written in VHDL. It’s on pages 53-73 of Circuits I Have Known , by Ronald W. Parker. A PDF is available at controlsignalconverter.com, and the book itself is available at Amazon. This week, I came across the Papilio One FPGA board. This intriguing board mounts a Xilinx Spartan 3E, in either the 250K or 500K gate flavor, along with power supplies and an on-board USB programmer. It’s inexpensive, at $50 for the 250K version and $70 for the 500K version. This would make a good pre-assembled alternative to the Microsemi SOC (née Actel) A3PN250 breakout board I am using. One really neat feature of the Papilio is that it is designed to be Arduino-compatible! By loading an AVR8 soft core onto the FPGA, Arduino-compatible sketches can run on the board. The board supports a set of connectors to which up to 6 expansion boards (“wings”) can be attached, similar to shields. Its inclusion of a programmer and power supply also imitate the Arduino model. 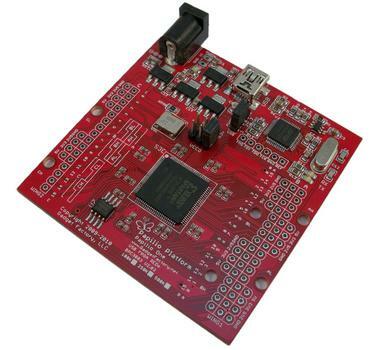 As well as Arduino programs, the board is also programmable in Verilog and VHDL. Unlike my board, its off-board connections are through-hole, and it can’t be mounted directly on a ground plane without extra insulation. I like the philosophy of bringing out a full 48 uncommitted pins to the off-board connectors instead of loading up the board with extras. Boards with RAMs, flash, and displays are easy to get started with, but end up being confining, making it harder to add external circuitry when the on-board stuff is not enough. The Papilio is a close relative of the Open Bench Logic Sniffer, designed by Ian Lesnet and Jack Gassett. The Papilio heritage shows in the Logic Sniffer’s two “wing” expansion connectors. If your FPGA preference is Xilinx or if you want a flexible, basic breakout board with an on-board programmer and power supply, the Papilio is well worth a look.